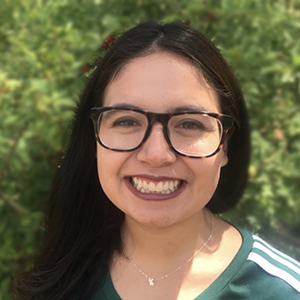 Aracely received a bachelor’s in environmental science/biology from the University of Texas and a master’s in water science and management from New Mexico State University. Previously, she worked at the New Mexico Water Resources Research Institute researching produced water in southeastern NM and riparian areas of the southern part of the Rio Grande. Originally from El Paso, TX, Aracely is a first generation Mexican-American whose family comes from the northern area of Chihuahua, Mexico. At NYFC, Aracely runs workshops across the Colorado basin for farmers and ranchers on topics such as drought, water laws, and conservation.